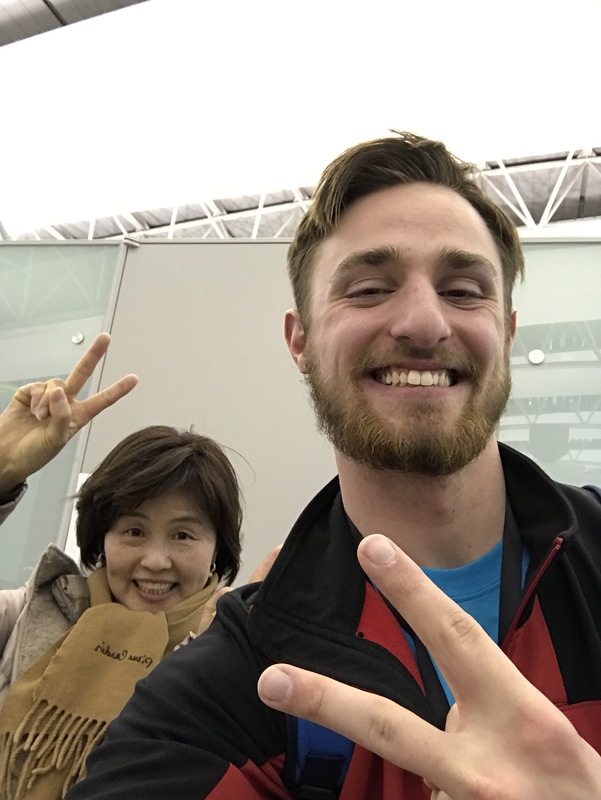 Taylor Gray with the Japan excursion tour guide Yumi. Over the past year, the Presidential Scholars program at Amarillo College has been quite the learning experience. Personally, I can recall the very first day of this prestigious program. On top of being extremely nervous for what to expect for my first semester of college, I was even more anxious to see what type of program I really signed up for. Little did I know, the projects I would undertake, the people I would meet, the places I would go, and the friendships I would create would go on to be some of the most memorable moments of my college life. The first semester started off quickly. Within two weeks of knowing my fellow students and professors, an intense but helpful leadership retreat took place. This retreat was a very powerful interaction that taught us how to lead as well as how to work as a team. Immediately after this experience, the real activities began. Group lunches, out of class events, and even a trip to Dallas improved our teamwork skills. All of these experiences brought us closer together, but nothing would top the life changing experience of getting to travel thousands of miles to the country of Japan. When I found out I had the possibility of traveling to Japan, I was beyond ecstatic. Japan has always been one of the countries I had always wanted to travel to. During this gigantic excursion, I experienced new cultures, religions, lifestyles, and food. Something that I took away from this trip was how fortunate I was to get to experience this firsthand. I understood that not all students my age had the luxury of traveling to such a breathtaking country like this. When I was a child, I used to imagine Japan as a faraway land that I would never have the pleasure of exploring. I thought reaching it was impossible. The overall experience of traveling to a country like this broke my thoughts of the impossible and opened a new door to the possible. This trip was truly a trip of a lifetime, and I am extremely grateful for that opportunity. The second semester came and went by even quicker. We came back to start the spring semester without a second to waste. More group projects and lunches with community mentors piled up as we returned to our project groups. The biggest challenge this semester by far was our giant research project. This project called for the Scholars to pick a topic related to their majors and write a 10 page research paper about it. This research would then be presented at the annual West Texas A&M research conference in front of judges who would give their us their critiques and feedback. This task was very challenging, but in the end I felt as if my research and presentation skills were polished again once more. The Presidential Scholars program has done so much good for me as well as my peers. The opportunities that stem from this program are truly amazing. I have learned so much and am eager to share my experiences with the open world. I would encourage this program to anyone who is fortunate enough to get the chance. Current Presidential Scholar Julia Cotten interviewed her classmate My Nguyen about her experiences in the Scholars Program. Both students have just completed their first semester in the Scholars Program and are participating in the educational excursion to Japan. Nguyen is a biology major who graduated from Highland Park High School. Cotten, an Amarillo High graduate, is a general studies major who plans to transfer to Texas Tech to pursue a degree in interior design. In the spring of 2016, only one spot remained in the highly-competitive Presidential Scholars program. My Nguyen was the last high school senior interviewed and three qualified students were already vying for the final opening in the program, which accepts 15 new students a year. Even though Nguyen was the last senior to be interviewed, she made an impression. Nguyen possesses many characteristics that qualify her for the program, but I’m sure her fun-loving personality and bright smile sealed the deal. 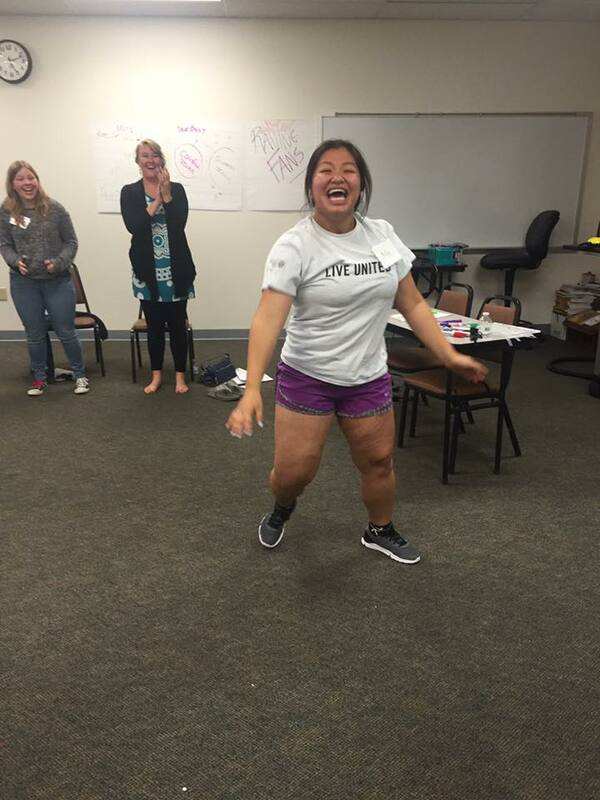 My Nguyen at the Scholars Heart of a Leader retreat. Fortunately, Nguyen’s fears were put to rest. After only attending Amarillo College for one month, she said her Presidential Scholar classmates became like family. She said she was surprised that her classmates and instructors cared so much for each other and drew her out of her comfort zone. Nguyen told me that she is a totally different person than she was in high school. She has grown in her confidence and is filling her life with positivity. One of the delights and challenges of overseas travel is trying new and exotic foods. In this video, the Scholars–who are preparing for their Jan. 4 departure for Japan–share their thoughts and expectations about Japanese cuisine. On January 4, 2017, the AC Presidential Scholars will depart for an 11-day educational excursion to Japan. Prior to the trip, they discussed their expectations for the experience. It feels strange to be looking back at Amarillo College. AC is no longer my school, but a stepping stone towards my future. I remember my first day at AC–I was driving around all the different parking lots for fifteen minutes looking for a parking spot, before I eventually parked on Wolflin Avenue and walked ten minutes to my first class. I remember wondering if I had made the right decision in choosing AC. Little did I know that AC would take me leaps and bounds ahead of where I would have been had I decided to begin my education at a university. My first involvement with extracurricular activities at AC was through the Presidential Scholars Program. Whether it was setting up the table for Fall Fest and Badgerama or organizing Honors Expo and community service projects, the Scholars Program forced me to get involved. I also attended every event that was offered–from ballet and opera to hikes in the canyon. These activities also prompted me to learn time management—something I had not really needed to deal with prior to college. Along with learning some important life lessons, I was also making connections with my fellow scholars in a way that I had never done before. In the past, I had always been the quiet kid and, although I had friends in high school, I never really became too close with them. At AC, I made real connections with the Scholars and felt like I belonged in that community–in that family. My involvement in Scholars inspired me to become active with Phi Theta Kappa (PTK), the national two-year college honors society, and interview for (and accept) a position in the Blue Blazers—a group of students hired to serve as college ambassadors. I also decided to join the AC Student Government Association and became the treasurer and interim Vice President of Service for PTK. That was when I experienced firsthand the definition of “busy.” If that weren’t enough, I began working as a tutor, so I was on campus from eight in the morning until at least eight at night, sometimes even later. Despite my busy schedule, I enjoyed what I did. I was on campus, making a difference, enriching people’s lives. I tried reaching out to anyone I could and AC gave me the freedom to do so. As a second year member of the Presidential Scholars, I began to fully assume my new position in the group as a mentor and I started to notice that people stopped to listen whenever I talked. That was something new for me. I had never had listeners when I talked–mostly because I didn’t talk much to begin with. Now I found myself being more outspoken and began stepping up as a leader, especially after attending a student leadership retreat. That November, I ran into some family trouble that hit me pretty hard. I couldn’t focus on anything I was doing and people noticed. I started opening up to others and realized that I had built myself a support system here at AC. I wasn’t alone. I had people on my side who would help me get through anything. That level of support inspired me to do the same for others and motivated my outreach efforts. It wasn’t until that difficult moment that I really began to branch out and reach out to others to enhance their AC experience. I started working harder for each club and even joined another one, Mu Alpha Theta Math Honors Society (MATH). I realized I was now doing for others what others had done for me. During my time at AC, I traveled with the college to Dallas, Fort Worth, Nepal, India, Waco and Washington DC. I won several awards including Who’s Who among Students in American Universities & Colleges, Coca Cola Gold Scholar, the Campus Life award and my inclusion in PTK’s Division II District I Hall of Honor. I conducted research, attended and presented at conferences and workshops and participated in several leadership retreats. Those opportunities and honors would not have been possible without the support of the family that I surrounded myself with at AC. When I felt like giving up, their never-wavering belief in me and inspirational stories kept me going and drove me on to success. When I felt like dropping everything, they made me see the benefits of working hard and making it through to the end. Their continual support lifted me up when I was down and made me a better person, both professionally and personally. Attending Amarillo College was the best decision of my life. I was kept busy, but I loved every minute of it. If I could go back, I would do it all over again. I will cherish all the memories that I have made with my AC family as I move forward in my college career. 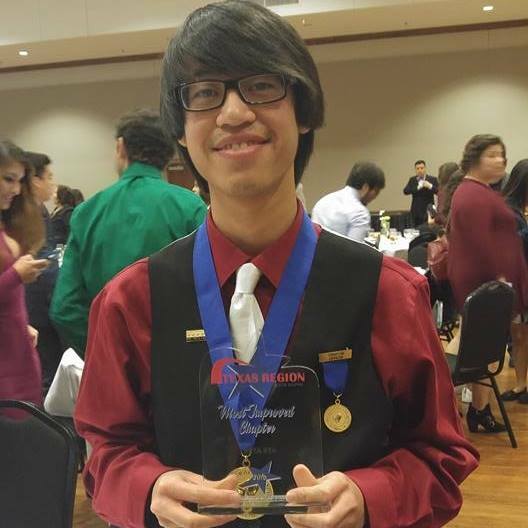 David graduated in May 2016 with a degree in physics and will continue his studies at Texas Tech. This summer he was chosen to participate in NASA’s National Community College Aerospace Scholars program at the Johnson Space Center. Most young people don’t understand that something as horrific as the Holocaust could happen again. Perhaps it wouldn’t replicate itself to it’s entirety, but instead in new ways or even worse, to a greater degree of evil. On the trip to Lithuania and Poland with the Presidential Scholars, I experienced first hand what it would be like to be alive during the time of the Holocaust, and it made me realize how little I knew about any of it, and how terrifying it must have been for the people who had to suffer though it. It also made me realize that I need to do my part in bringing back the importance of such an important part in history. 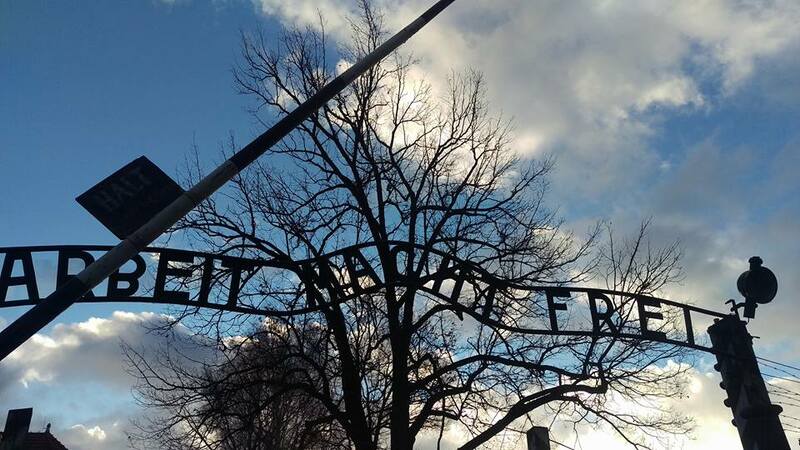 “Work sets you free” sign at the entrance to Auschwitz during the Scholars’ visit January, 2016. The original sign was stolen in recent years, and this is a replica. Before the trip I had about the same mentality that most young people have about the Holocaust. I thought we were making it too big of a deal. As awful as that sounds, there is a whole generation who feels this way and has lost touch with just how important this really is. We are letting the history behind this slide right by us because it has been talked about throughout our lives so often. Yet we do not seem to know very much at all about what exactly happened. I’m sure we could all tell you about Anne Frank or Hitler, but if you ask us for details of the time period or of the lives of those who suffered through the gruesome conditions of this genocide, we wouldn’t have much to say at all. What I find the biggest and scariest issue of our overall understanding is that we do not know how the Holocaust came about or the events that led up to it. We don’t realize that this wasn’t because of an evil person making everyone do as he commanded. Hitler was a persuasive person and people trusted him as their leader. People were persuaded into believing that one social group was the root of all their problems and that all of their frustration and anger should be focused on them. So they chose to follow him and they allowed him to carry on with his plan and eliminate anyone who got in his way. Who’s to say that something similar couldn’t happen now? I am so grateful that I have been given the opportunity to see firsthand what exactly I was taking for granted. I realize that most of what I experienced overseas cannot be replicated by studying a text book, but I know that the magnitude of the Holocaust is impacting regardless of where you study it. Therefore, I encourage everyone to rethink what you know about the Holocaust. So that we may not let the importance of it die, and most certainly not allow a similar situation arise. Amarillo College offers Honors courses and the Presidential Scholars Program. Honors courses in high-demand subjects provide smaller classes featuring increased interactivity, engagement and challenge for academically-prepared students. The Presidential Scholars program offers a learning community that gives high achieving and motivated students the opportunity to participate in student-centered learning experiences that promote intellectual growth, cultural appreciation, professional focus, leadership development, and civic participation.